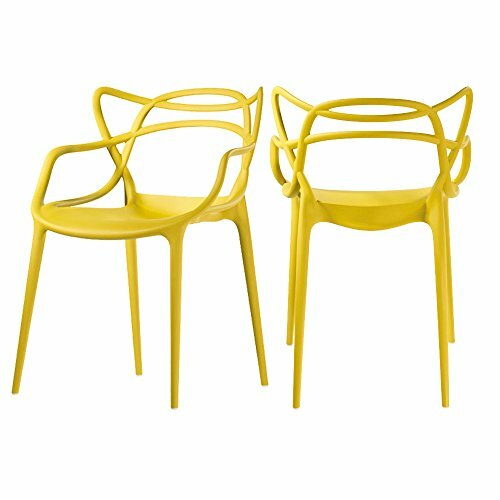 The Loop chair stands on four slim legs. It's light, practical, comfortable and perfect in any space in your home or business. All plastic construction makes them ideal for your next outdoor event as well. The back of the chair creates a curvaceous crisscrossing lines of three different backs which merge into the edge of the seat. Can be stacked 4 high. 22"D x 21"W x 33"H. Seat height 17". 22"D x 21"W x 33"H with a seat height of 17"
If you have any questions about this product by Mod Made, contact us by completing and submitting the form below. If you are looking for a specif part number, please include it with your message.